Relax in style with the luxurious Geneva Leather Corner Sofa. This Italian design features fully pocket spring base for extra comfort and stainless steel shaped feet to complete the modern look. This product features fully shaped & padded arms and back style, with stitched sections. Comes in 3 pieces with an attachment mechanism included. 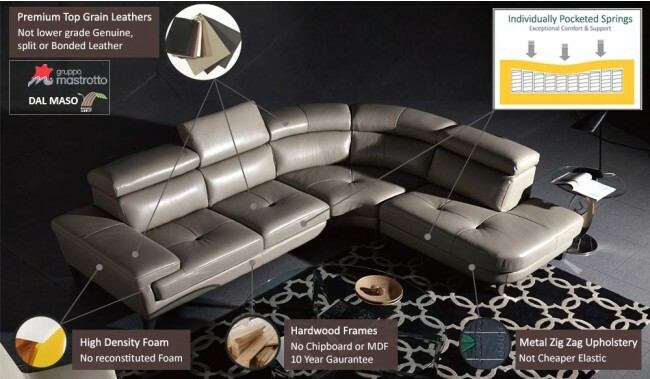 Available in 11 top grain leather finish colours.. 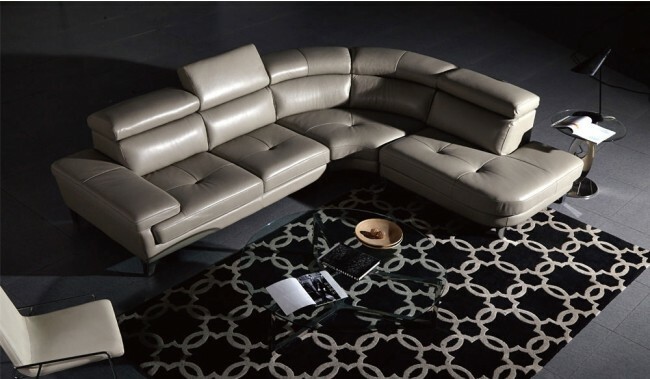 Feet: Stainless steel feet.Base upholstery: Full Zig Zag metal sprung upholstery with high quality reflex foam and premium leather finish.